I'm so excited for a new look around here! 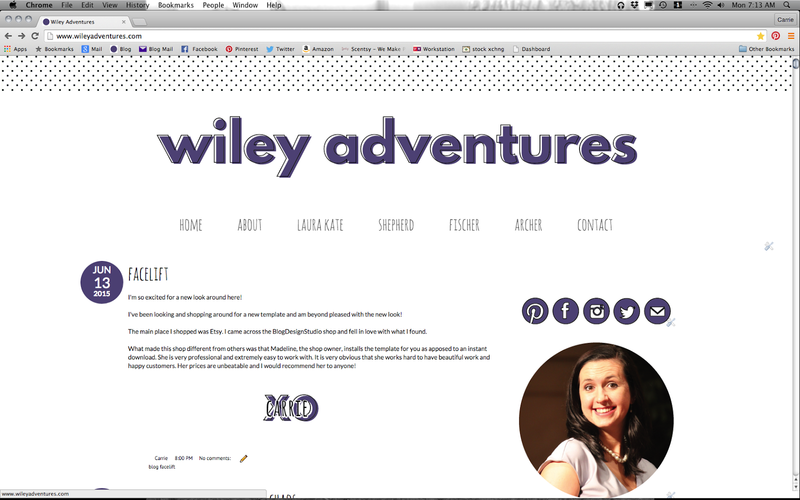 I've been looking and shopping around for a new template and am beyond pleased with the new look! The main place I shopped was Etsy. I came across the BlogDesignStudio shop and fell in love with what I found. What made this shop different from others was that Madeline, the shop owner, installs the template for you as apposed to an instant download. She is very professional and extremely easy to work with. It is very obvious that she works hard to have beautiful work and happy customers. Her prices are unbeatable and I would recommend her to anyone!